We play a multitude of games on a regular basis. Sometime we play as a family, other times hosting friends here in our home and of course, our weekly game meetup. Despite being able to constantly be in “game mode” offline, there are a few games that I cannot resist playing on my iPad when I’m at home just resting. Star Realms from White Wizard Games is one of those. 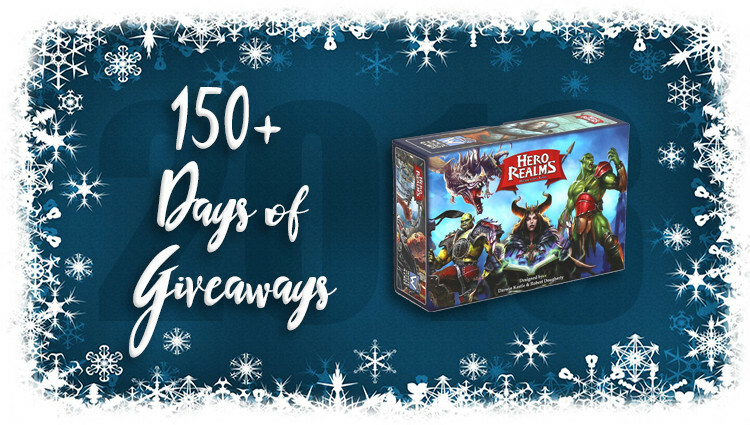 We love the card game and have found their Hero Realms game to be equally as appealing. This past Monday when we launched our first 2018 Holiday Gift Guide of Card Games, we naturally wanted to include it. If you aren’t familiar with the game, you can read more in our Hero Realms overview. It’s compact, affordable and fun. It’s also today’s prize in our Mega Giveaway! Enter to win a copy to play during game night or pick up a copy on Amazon to have in time for your holiday celebrations. 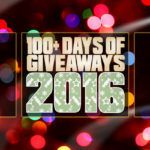 Don’t forget to come back each day for more chances to win. Older Kids in the House? These Games Are What They Want for XMas! Oof….my top five favorites are Captain America, Batman, Wolverine, Spider-Man, and Deadpool, in no particular order….. most heroic though? Between Cap and Spidey. For fictional heroes, you can’t beat Captain America! Good old Superman is my favorite. My Grandfather, a gentlemen farmer. Worked 40 hours a week then came home to the farm to put food on the table. Jesus will always be number one, but after that I would go with Spiderman!!!! Jesus. How could you possibly live up to that? But something great to strive for. Saved more any any other. My Dad, he taught me how to be a critical thinker, modeled being an engineer and how to save money by doing as much as you can to learn to DIY from cars to home to everything! My #1 Hero is my Lord & Savior, Jesus Christ! My fictional hero is Superman. All police, firefighters, EMTs, first respoders, etc, and above all, US veterans! my heroes have always been nurses and emts,paramedics theyre some of the first people that see you when youre sick or injured,and such compassionate people. Samwise Gamgee because it always turns out that your hero is the person beside you the whole time! My wife. She makes everything better and makes this house a home. Jesus Christ and my wife! I have to say my sister. She has 4 kids with 2 special needs and takes care of my parents. She really keeps our family organized and together! Spider-man has been my biggest hero since I was barely able to walk. That’s over 45 years of hero worship! My husband – my greatest hero!